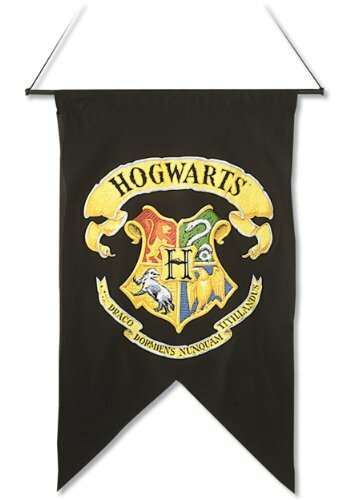 Having found so many great Harry Potter gifts last week, I just had to do another – this time, a budget friendly list with everything below $20. 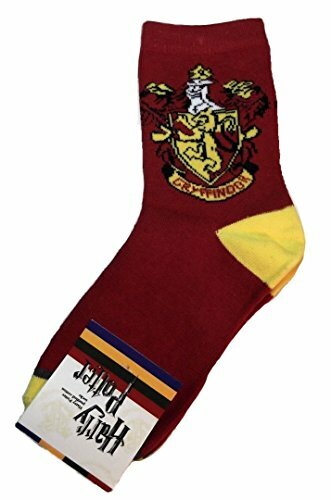 Actually, most of these Harry Potter gifts are $10 or less so that’s even better for your pocket! 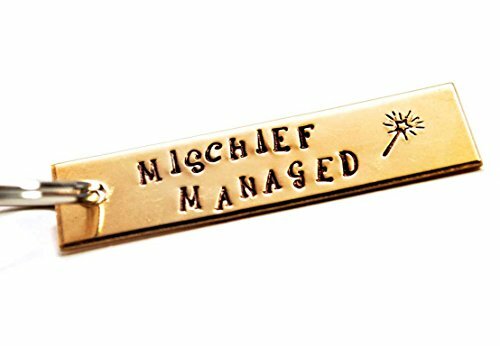 My favorite item is the ‘Mischief Managed’ keychain – so simple but so very accurate too – I know a few people who would suit this keychain even without the Harry Potter reference! 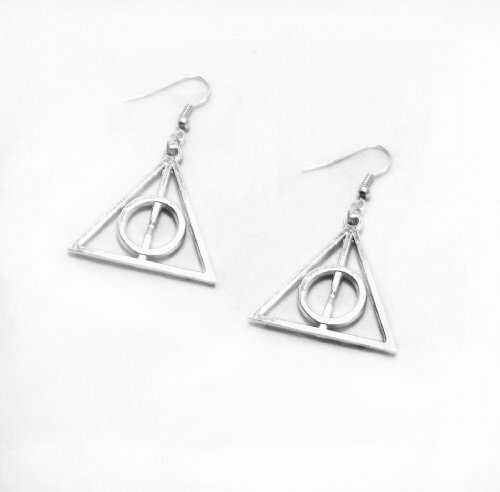 The Deathly Hallows earrings are not expensive at all and look very good. 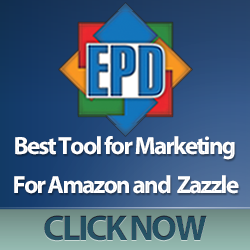 For such an inexpensive pair of earrings, they have great reviews too. 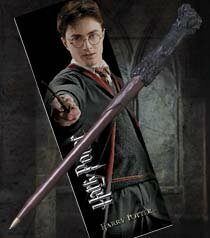 If it’s wands you’re looking for, you’ll have loads to choose from – this one is a dual purpose pen & wand and comes with a bookmark as part of the set. 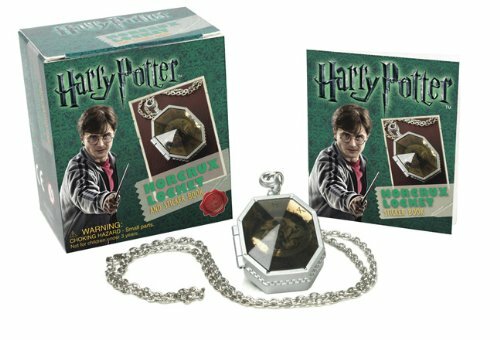 There are quite a few different wands available but of course, the really nice ones are pretty expensive although they do come with display boxes and are regarded as collector’s items rather than toys. It definitely won’t hurt so much when your youngster snaps this one! 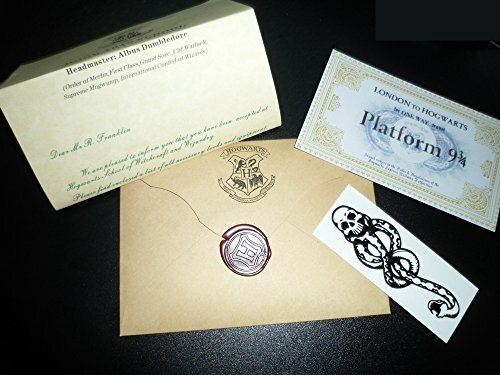 I loved the idea of the Hogwarts Acceptance letter gift but to make it even better, you have to give the name & address of the recipient so it can be personalized for you. 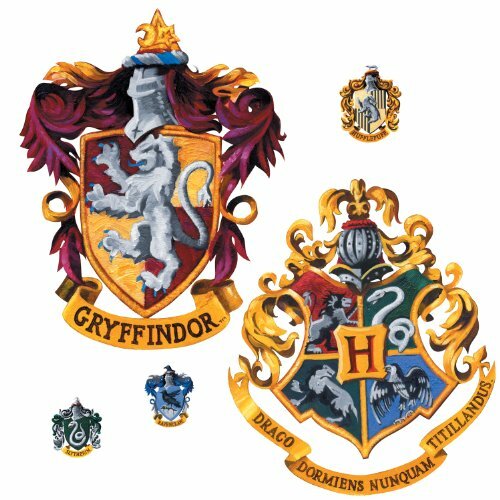 Can you imagine the look on your child’s face when they receive their Hogwarts Letter? 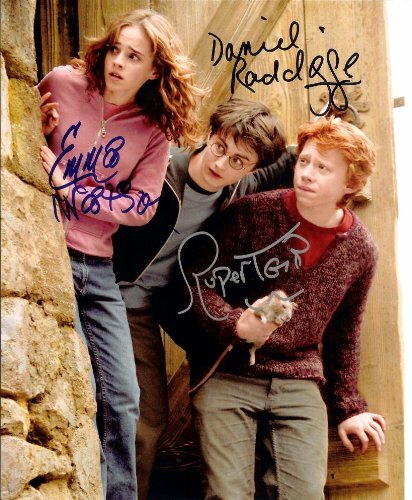 This signed photo is a copy so if you know someone just starting a Harry Potter memorabilia collection, this might be suitable. 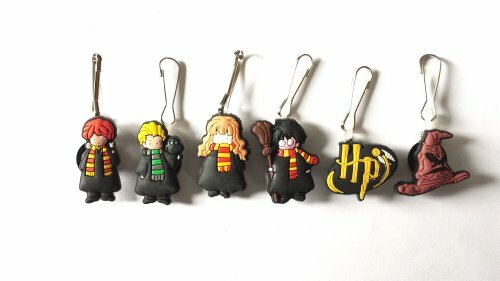 Another favorite of mine is this set of Harry Potter character zipper pulls – there’s Harry, Hermione and Ron of course but also Draco and the Sorting Hat. 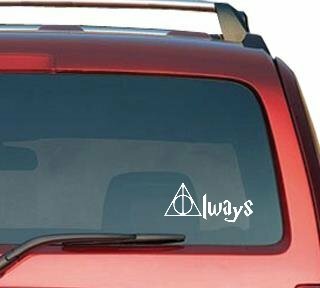 The last piece of the set is the Harry Potter logo – I wish they’d included Hagred or Dobby instead though. 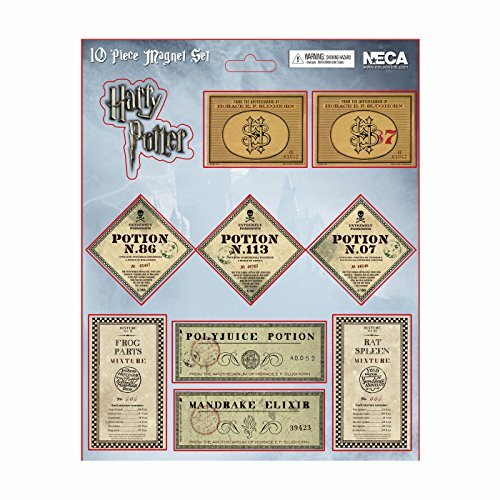 I love fridge magnets and these Potion Labels are no exception – they look great and would be an unusual stocking stuffer gift for any Harry Potter fan. There were some unusual Harry Potter gifts available, including these cake toppers – it’s a set of three flying figures modelled on Harry, Ron and Hermione and they come with small sticks to mount them onto a cake. 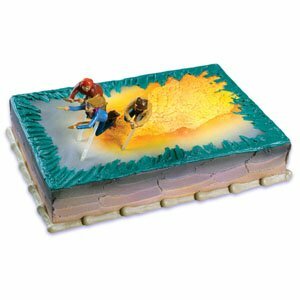 If your cake icing skills are good enough, having Harry and his friends swooping across your child’s cake would probably make their day! 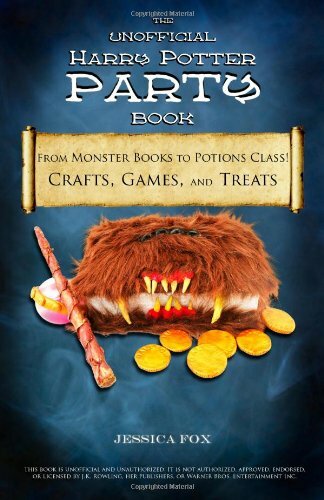 If you need to help with ideas for a Harry Potter party then this book may suit you too! It’s full of great ideas and lots of craft activities to keep kids amused as well as some recipes to add to the Harry Potter theme. 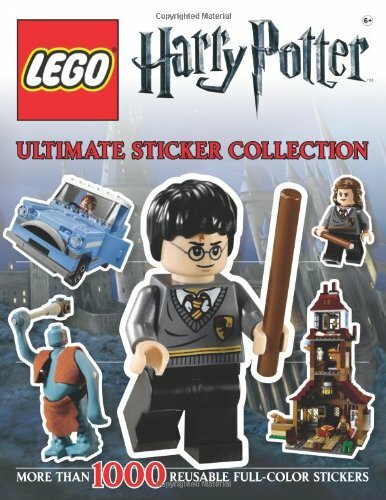 Last up we have the ultimate Lego sticker collection – this is the official one so I was pleased to find they kept the price down! I know Lego can be super expensive after all. 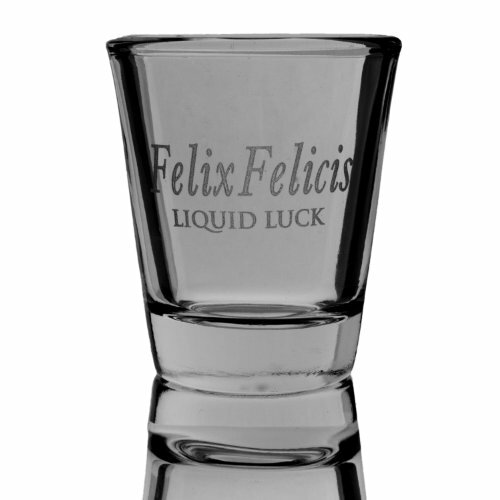 For the adult Harry Potter fans there are still some items available – this shot glass would make a nice addition to any home bar area! With Christmas only a few days away now, I hope we have helped you find a perfect present for your geek or gamer. We still have lots of ideas so don’t forget that geeks & gamers have birthdays too so come back soon for more great gift lists and present ideas. 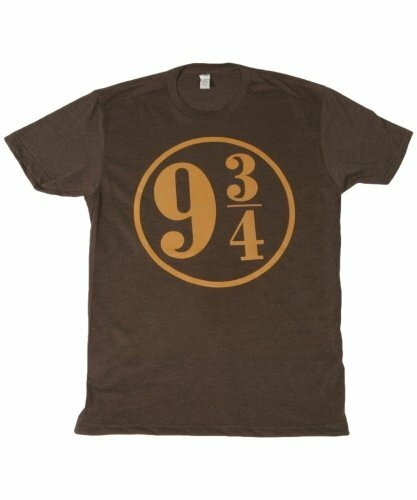 If you need more gift ideas for a Harry Potter fan, check out our other Harry Potter posts.